Hey you guys, we've had some questions about making these. 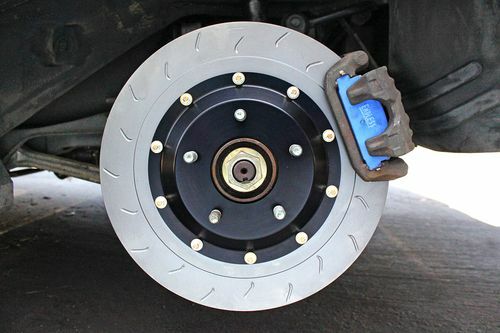 We've had prototypes kicking around for quite some time but never thought there would actually be enough interest to produce these with the small amount of 99-Spec FD brake kits out there. 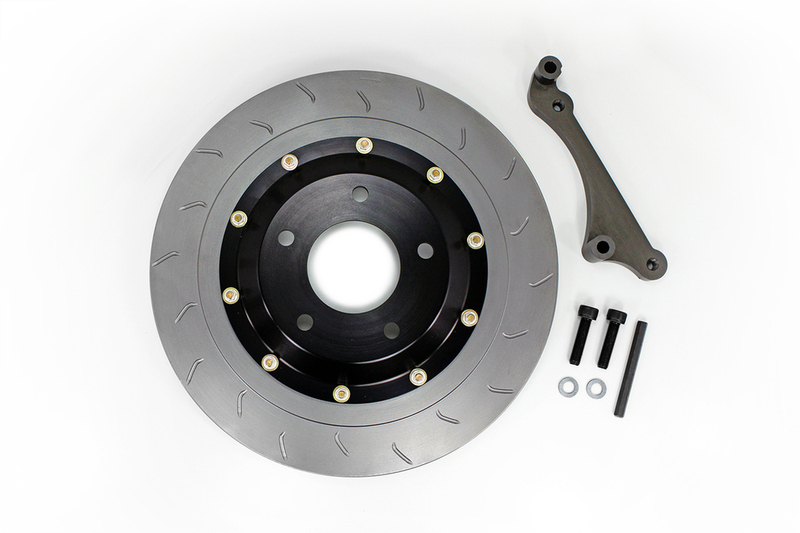 These 2 piece rotors ONLY WORK with 99-Spec RZ Front, and or rear brakes. We ended up recycling the project into a vented rear S2K setup, but we've got stacks of the rear rotor rings on the way for the S2K setup.... all we need to do is have the machine shop run off the rear hats. The fronts are relatively straight forward but slightly more expensive to produce. The issue with making these comes down to cost and demand. Retail on the rears would be roughly $800 and $950 fronts. If anyone out there wants to see this made, let us know. Some examples of parts are below. These are 314x32mm front and 314x20mm rear. 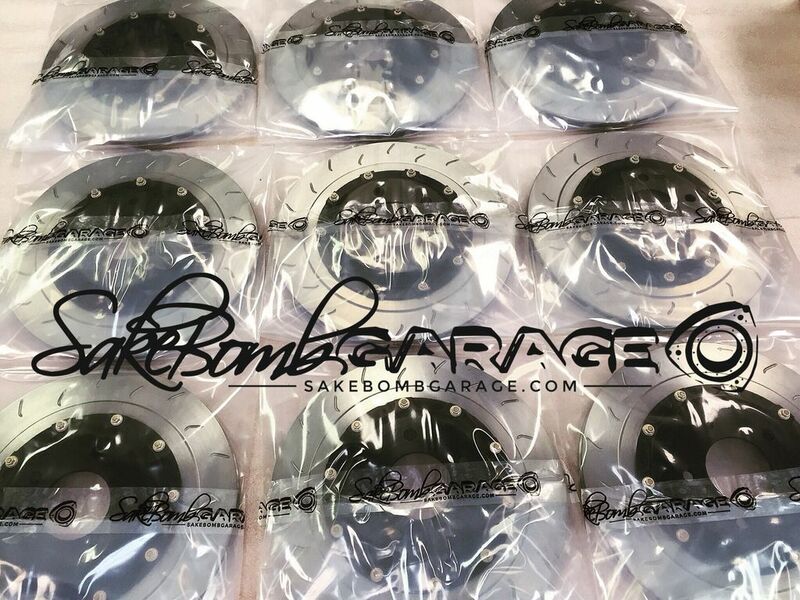 These are DIRECTIONAL curved vane rotors which move MUCH more air than the OEM straight vane rotors, and are significantly lighter. The biggest advantage is the rings should be under 300 a pair to replace, which makes it MUCH more economical than shipping OEM blanks from Japan, not to mention the much better performance and weight reduction vs stock. Our S2K kit running the same rear rotor (314x20) as the RZ FD! Example of our current competition rear... we can offer the front and rear rotors with, and without slots. I would be interested in a complete set. Hope the price goes down a little. Inhabe RS brakes on mine so should fit as well. Interested! Any updates on the current status or how many orders you'd need to make it worthwhile? Nope, not enough interest to produce anything. 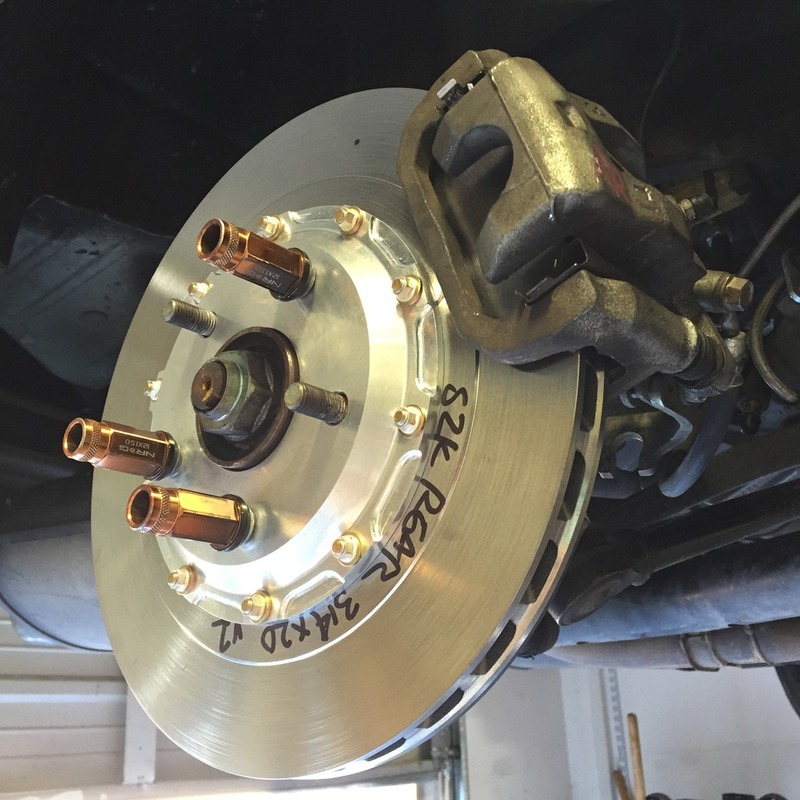 We do have our 330x20mm competition rear brakes which is a relocation bracket with the stock rear calipers and an even larger rotor than the 99 spec. Basically renders the 99 spec obsolete... which is probably why we haven't had much interest in the 99 rotors. Curses, I guess I'll be getting them from project mu instead. Introduction & Product Development for Interior Upholstery! !